Inspiring people. Creating the future. DC Thomson Media and its brands deliver the content you want. Our brands have been at the heart of everyday life for generations. We are passionate about our readers and their communities. We know what matters to them. We’re respected and trusted to deliver fulfilling, inspiring and relevant content that enhances the experiences of our partners and audiences. Whether for our consumers, clients or creators, we’re at the forefront of change, stimulating the imagination, producing dynamic, compelling content, products and experiences that really deliver. DC Thomson Media is proud to be part of DC Thomson. We’ve got an established history of magazine publishing, developing some of the most successful children’s publications of all time. We publish magazines for both children and adults including children’s comics, boys and girls magazines, and titles such as The People’s Friend, Commando, My Weekly and Scottish Wedding Directory. The magazine portfolio regularly performs well in ABCs and all of the company’s titles can be found on the high street and supermarket shelves. We’ve been publishing newspapers since 1886. 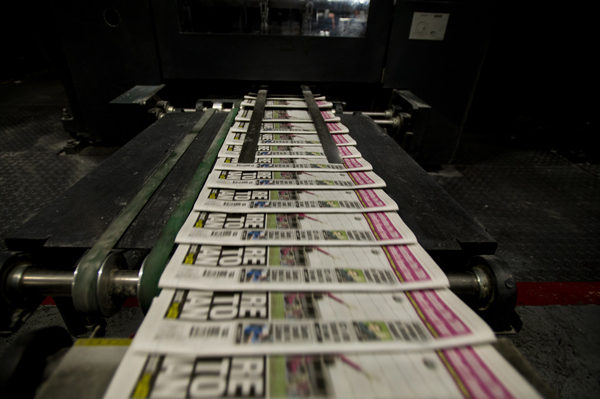 Regional daily titles in our portfolio include; The Courier, Evening Telegraph, The Press and Journal and Evening Express. It also includes national weekly titles the Sunday Post and The Weekly News as well as online title, Energy Voice.